More than just changing the way we live our lives, technology has also transformed the way we work and redefined the concept of office space. While the traditional office — designated seating segregated by departments — is not going away anytime soon, more companies are adopting the idea of a co-working space and hot desking. Co-working space, for those not in the know, is a commercial space that lets independent professionals come together and work. Instead of working remotely or in different offices, the shared working environment is also designed to encourage collaboration and a sense of community. The concept of hot desking is also fairly simple: You pay a fee for a spot in a co-working space, connect to the wifi network and you’re ready to go. But in most cases, the hot desk spots are also usually set in a less than flattering interior with just the basic amenities – hardly the image of a successful entrepreneur. The Great Room, however, is redefining what hot desking means: Beautiful interiors, a dynamic ecosystem of businesses and grownup start-ups, access to community events and barista coffee. The best part? 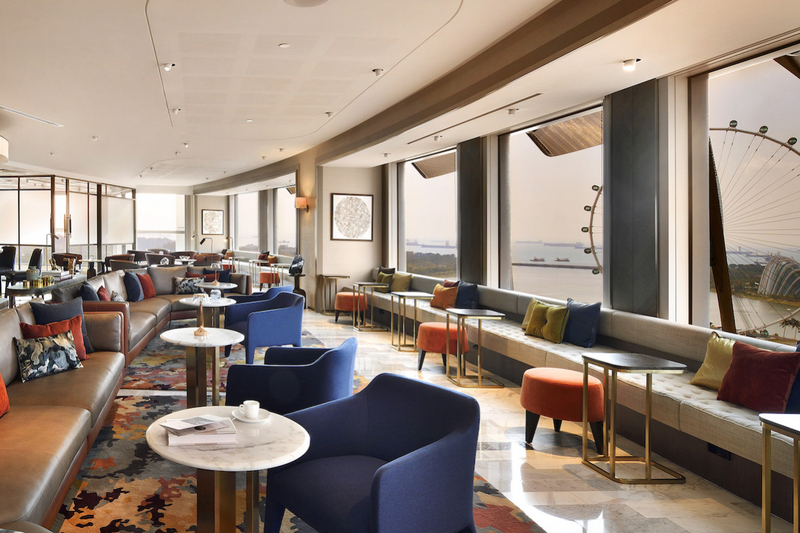 The Great Room offers you not one, not two, but three locations to choose from, all with spectacular views of Singapore’s skyline. Here are more reasons why you should hot desk at The Great Room. Inspired by world-class hotels around the world, the luxurious and intimate setting at The Great Room makes for a conducive place to work and conduct meetings. Think comfortable leather sofas, stylish desks, marble floors and warm lighting, not unlike a prestigious hotel lobby. At The Great Room, you get to meet different types of people across industries, from high-value entrepreneurs to emerging startups in technology, finance and the creative field. From as little as $750, you have access to a variety of spaces where you can hot desk — from tables in quiet corners to informal lounge seating. More importantly, you can also book a Hot Office (fits one to four people), a private office on-demand if you should need it or the Stateroom, a beautiful boardroom that can fit eight to 14 people. Depending on the type of membership you sign up for, you can gain get access to The Great Room at One George Street, Centennial Tower and Ngee Ann City. Coffee and tea are complimentary at the pantry, and you also get freshly brewed cuppa by in-house barista as well as warm cookies and hot chocolates every Monday. Other notable amenities include: Enterprise grade wifi; use of meeting rooms, video conferencing facilities as well as private phone booths; mail and packaging handling.